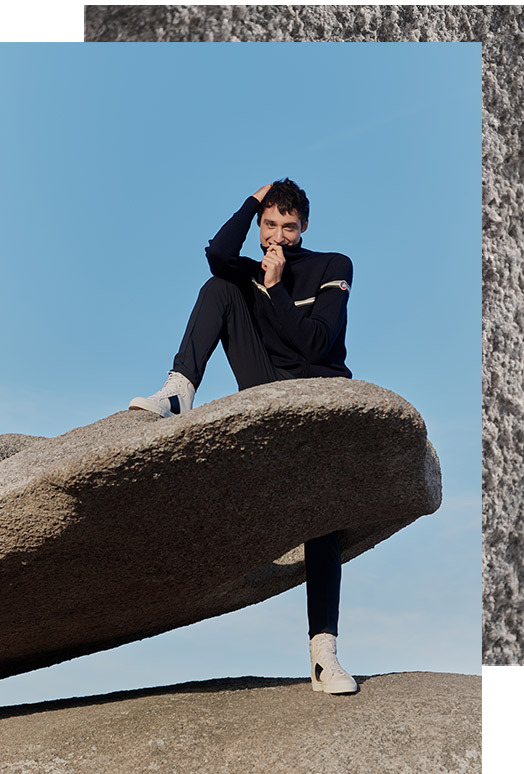 Knitted in 100% Australian Merino wool labeled Woolmark, this sweater with mastered proportions is a stylistic nod to the brand’s heritage codes. The Addict sweater is available in Dark Blue and Sepia. Simple design and rich matters for this knitted cardigan in 100% Australian Merino wool labeled Woolmark. Blue-white-red lines, illustration of the patrimonial's heritage code. The Wengen Fiz II cardigan is available in Dark Blue, Light Grey and Beige. 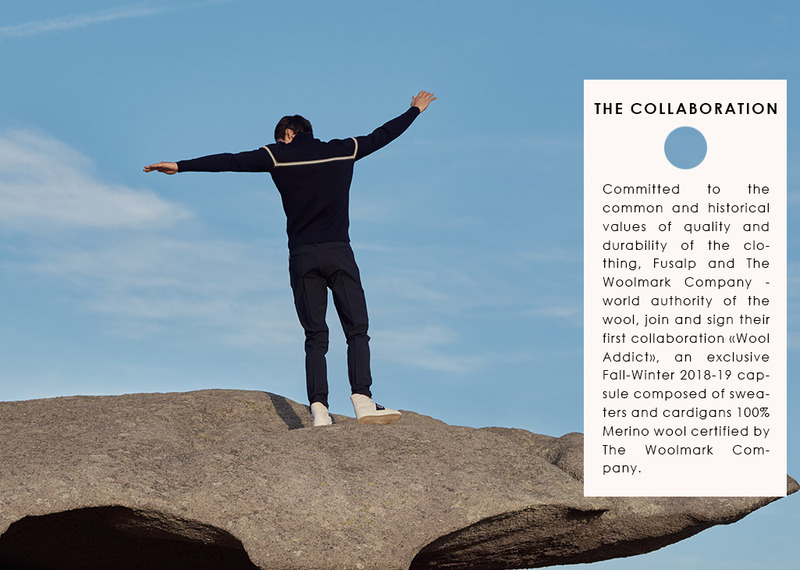 A contemporary and graphic writing of the Fusalp’s classic clothing, the Skiing cardigan is knitted in 100% Australian Merino wool labeled Woolmark. It is available in Dark Blue and Sepia. New interpretation of this sweater that has become an icon of Fusalp’s wardrobe. 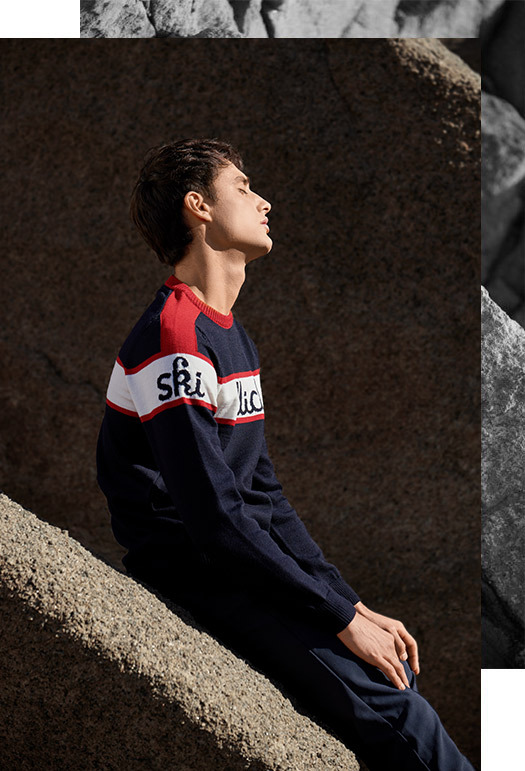 Knitted in 100% Australian Merino wool labeled Woolmark, the Wengen III sweater with blue-white-red heritage lines is available in Dark Blue, Light Grey and Beige.